Perfect solution for maintain patient privacy. Our HIPAA compliant locking chart racks are a perfect solution for hospitals and long term care facilities looking to secure patient information. 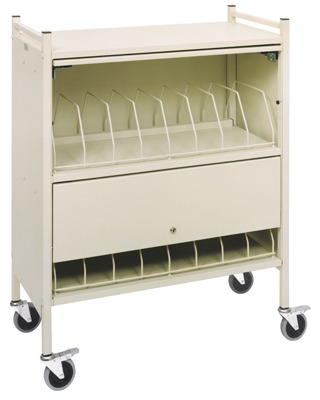 Our locking carts are ideal for maintaining patient privacy while maximizing accessability. Choose between privacy door and models with retractable locking panels. Our chart racks are shipped assembled, ready to be placed into immediate service.